Because so many new members indicated that they had never played but were eager to learn, the Guild is trying something new: setting aside a one-shot night exclusively to welcoming and teaching brand new players (and players who haven’t gamed in a while, or ones who aren’t familiar with D&D 3.5/4e). 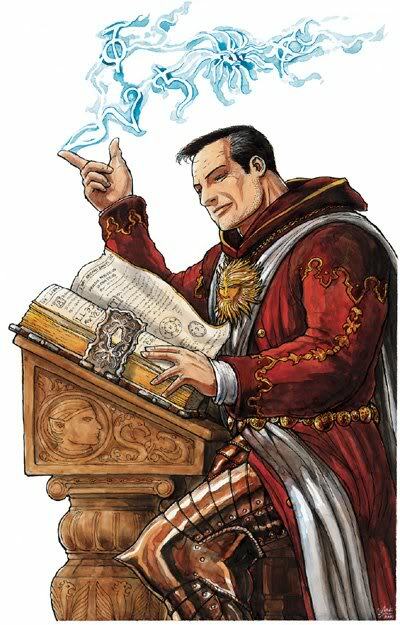 In addition to the Gamemasters (GM’s) running the scenarios, each table will have a dedicated Player Mentor (PM’s) who is there to help newcomers go over their character sheets, explain to them the rules, and answer questions the players might have. Typically, this is the GM’s job as well, but since it’s her job mainly to worry about the bad guys, we wanted to basically a co-GM to advocate for the good guys as well. We’ve never done anything like this before, but we think it will make for a smoother experience at the table and encourage more questions on the part of the players, since they won’t feel like the GM is stopping the action just for them. Right now we’re going to have a 3.5 and/or a 4e table, but we’re open to suggestions if there’s another iconic system people have heard about and want to learn. Please RSVP, bring a friend, borrow some of our dice, and have a blast learning to play with the Guild! As I was writing the plug for a newbie-friendly game, I found it interesting how I was judging one system against another as to which would be best for “teaching” role-playing games. I felt drawn to 3.5 over 4e, but is that because it seems to be the “standard” for most other d20 systems and the most prevalent (including Pathfinder)? Or is it because it’s the system I learned first? On the other hand, 4th edition is more “current,” but the power card novelty is exclusive to the system, and it’s on the out and out, essentially having been lame-duck’ed by D&D Next. Finally, D&D Next is a sweet little system unto itself in terms of simplicity and straightforwardness, but playtester agreement aside, is it “kosher” to teach newbies with a beta release? What about all the other systems out there? Does Pinnacle’s Savage Worlds system make it cut, considering it’s so simple? What about Fate, which has spawned so many different incarnations of late? Secondarily, what sort of activities do you feature? Something run of the mill, staple fantasy (replete with Red Dragon and Hoard at the end? ), or do you try to show them the different options to challenge players’ assumptions? I realized early on that I want to at least have 1st level character generation and the requisite “rolling of the stats,” which, despite the fact that it’s lost favor over the years, still resonates powerfully with me and is the most exciting part of any of the games I play. Even if it means cutting the adventure shorter, I believe we should simply because it helps to teach the nuts and bolts of a system in steps as opposed to being handed a fully-fledged sheet and trying to make heads or tails of it. At the very least, there needs to be some dose of social, exploration, and combat, perhaps heaviest on the second. Oh, and don’t forget, something magical! Finally, what do you think of the Player Mentor idea? Cool? Unnecessary? Could use some work? Every year our gaming society does this, but instead of worrying about which games are the easiest, we let each GM, usually four a week, pick a system that they’re so comfortable with that teaching it is second nature. the games then range around whatever is most appropriate to the system/setting. I tend to go from the simplest little things in Savage Worlds, usually a pulp style action adventure, to a dark horror game in a setting I’ve been playing since its release that’s a bit more complicated, but because I know it so well, I can teach it easy, and show new gamers that there’s a whole world of choice out there. Never thought about a mentor in a game before, but I can think of plenty of people in the society who might be up for that. A Player Mentor is a *really* good idea. I wish I had one! I am just starting up a AD&D 2nd edition game. There are several new players that have never done any sort of RPG. There are a couple that played D+D “way back when” or have Neverwinter Nights as their D+D exposure. I chose 2nd ed as the system, as the character generation is quick, and there are some non weapon proficiencies to choose to get a little skills variety in the background for a character. All the later editions seem to have a large number of choices for the players, and for beginners I don’t think the complexity helps. As the DM, I now have to balance the running of the game with teaching of it too. If I had a player mentor to help out…that would be awesome. They could explain a lot of the questions. Right now people have questions and it almost seems like a queue before I can answer them. There’s a lot to consider with new players. The game’s pace has to be good, they have to realize that they have choices, learn what seems like a gigillion rules, and have a story and game play that holds interest. One thing I have found is that they have a different way they play than experienced players…it’d more of a discovery than doing the most efficient or direct action. Did you ever end up trying the Player Mentors in your club?